Sky Sports’ Monday Night Football show resumed last night, for the first time since the departure of popular pundit Gary Neville, and it seems his insight and sanity is already being missed. The Sky Sports producers have gone with the idea of rotating different guests to line up alongside Jamie Carragher, and this Monday saw controversial and lively character Craig Bellamy feature. 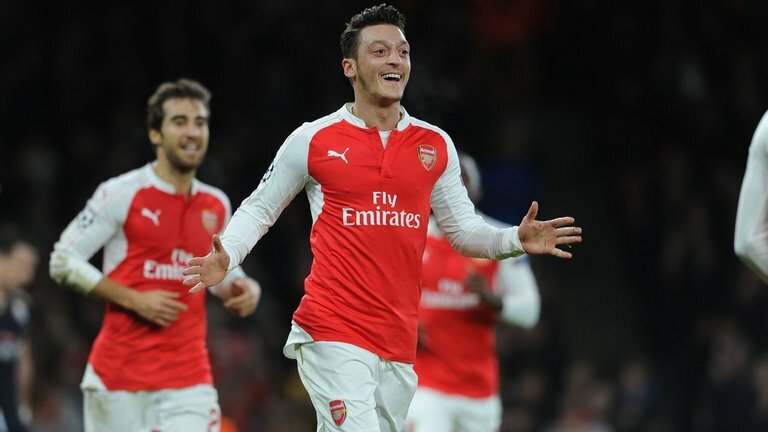 During the show, the former Liverpool and Newcastle striker, gave his thoughts on Arsenal and current talisman Mesut Ozil. It was at this point that Bellamy lost his mind by suggesting that Arsenal boss Arsene Wenger should build the Arsenal midfield around the Welshman’s former teammate Aaron Ramsey, instead of the German playmaker. Ramsey has been used predominantly on the right wing over the last year or so, but Bellamy is convinced that his countryman is far more effective bursting from central midfield. Bellamy, who retired from football last year and is keen to go into management, says he would demote Mesut Ozil in order to play Ramsey as one of a midfield three. “Ozil has played left at certain times,” explained Bellamy. “It’s not just me being biased. I have known Aaron since he was five years of age. I would play him central before I would play Ozil. It will be intriguing to see how Arsenal fans react to Craig Bellamy’s statements. Aaron Ramsey has indeed showed at times that he is ready to become a world class talent for the Gunners, but injuries have restricted his rhythm to do so. With that being said, would Arsenal fans really opt for a fully fit Aaron Ramsey, rather than the current best playmaker in European football at the moment? Leaving Mesut Ozil out now would be suicidal from an Arsenal point of view.